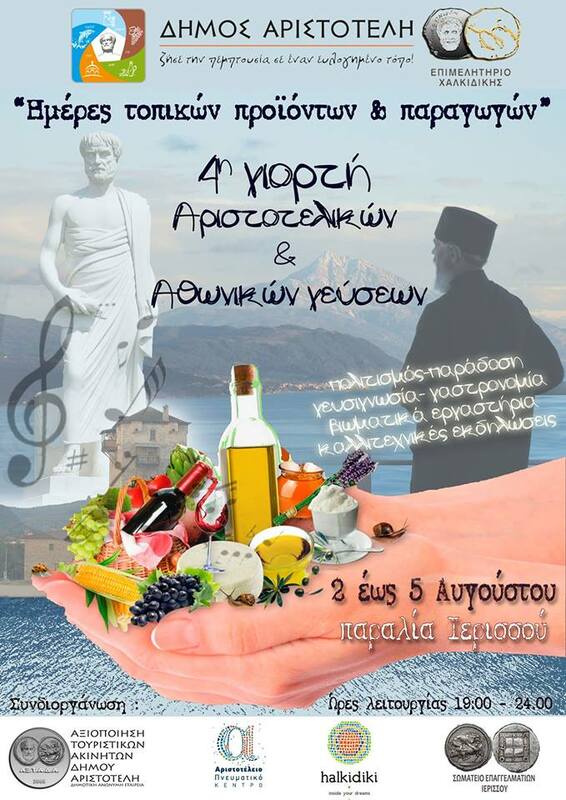 For the 4th consecutive year, the Municipality of Aristotle in cooperation with the Champer of Halkidiki are co-organizing an open-air exhibition of local products. Halkidiki is renowned in Greece as the ‘blessed place’ because of the heavenly landscape and plethora of natural produce. Guests will have the opportunity to learn about the Athonite cuisine and travel to a world of flavours through ancient receipes and local ingredients. And before leaving, make sure you buy some of the local products as the perfect souvenir of your stay at the popular tourist destination.